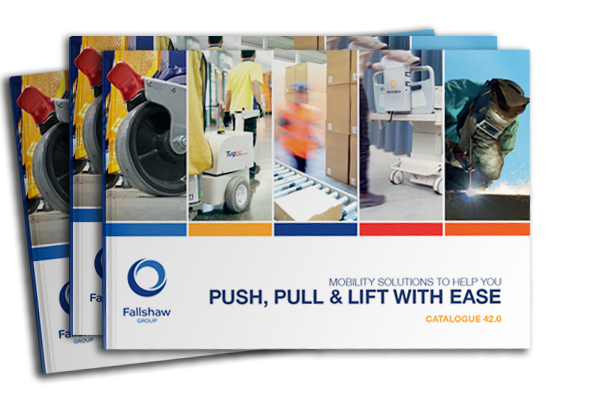 Heavy duty Fallshaw castors designed to meet OHS codes and Australian standards for scaffolding with a load capacity up to 500 kg. OHS codes and Australian standards. 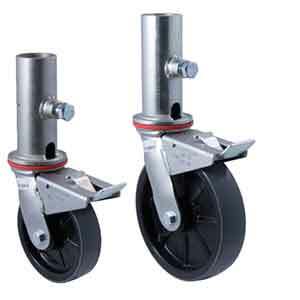 Castors are branded with makers name, and safe working load. Supplied with a test certificate validating compliance to Australian Standards (important for risk management documentation). 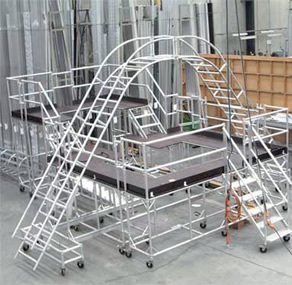 The static collapse load exceeds three times the working load. 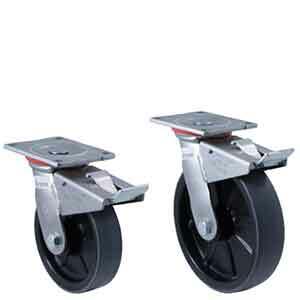 Wheels 150mm and 200mm diameter will safely pass over obstacles without snagging and causing scaffold to tip. The stem of the castor is 150mm long, with not more than 3mm of clearance to tube. 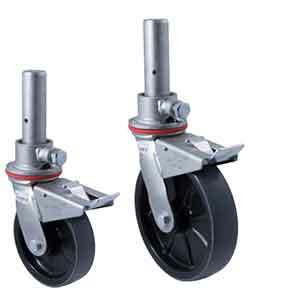 An effective wheel/swivel brake is fitted to ensure maximum stability. HUR wheel in zinc plated fork with 51 mm socket mount to fit over tubes. HUR wheel in zinc plated fork with 38 mm solid stem with fully welded cup. HUR wheel in zinc plated fork with 38 mm stem mount to fit into tubes. HUR wheel in zinc plated fork with ISO plate (130 x 100 mm).